Being an artist is one challenge, but being recognized and compensated for your work is quite another – and applying for a number of open calls might be the right strategy for bringing your work to a wider audience. While making a career as a contemporary artist remains a road less traveled due to the unstable nature of the business, it’s now easier than ever to be discovered and thrive off your work. Resources like social media and online platforms allow artists the chance to distribute their work to a wide digital audience, though competition does remain fierce. And while galleries remain the holy grail for most artists, it’s often difficult to land representation in such a competitive market – before a gallery is willing to take a chance on your work, you have to show that your trajectory is sufficiently promising. Resume stand-outs like consistent exhibitions, artists residencies, awards, and publications are a great way to get in the game. If you’re looking for an opportunity to exhibit your work to a broad audience, you might consider applying for an open call opportunity. Open calls offer young, emerging artists the chance to put their new and engaging work on display. Open calls can offer a range of benefits – from the chance to spend some time in a new locale, or the opportunity to exhibit your work at an international art fair. Most open calls offer the chance to put your work out there to gather more attention and views. Open calls also give your resume some extra credibility that you can use to leverage yourself in the future. It’s hard to keep track of all the open calls happening at any given time, but we’ve narrowed a list to help you determine where to invest your time to apply. Here are some of the most exciting and compelling open calls that you can apply to in the coming months. Artists showing their work at the Solo Art Fair will keep 100% of their profits. 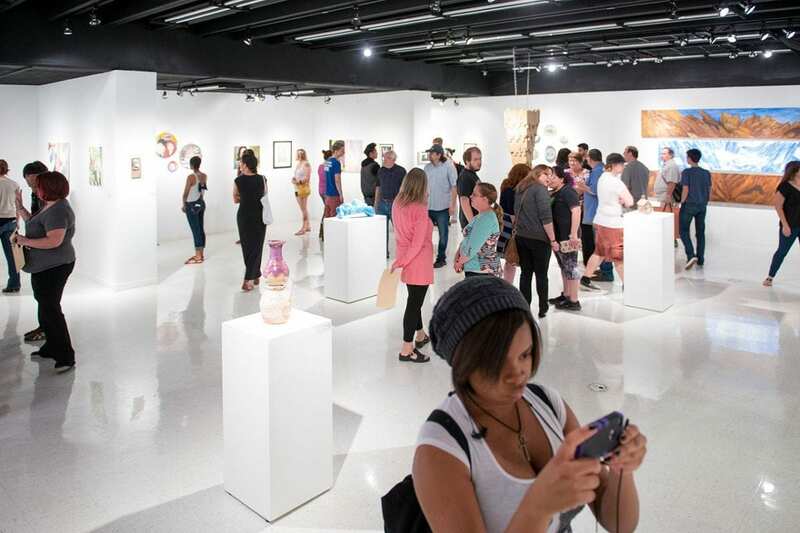 If you’ve ever participated in an art fair as a gallery’s exhibiting artist, you may have been frustrated with the fact that the gallery took a high commission fee in an effort to offset the cost of the art fair. Solo Art Fair is aiming to empower artists and turn the traditional gallery model on its head. 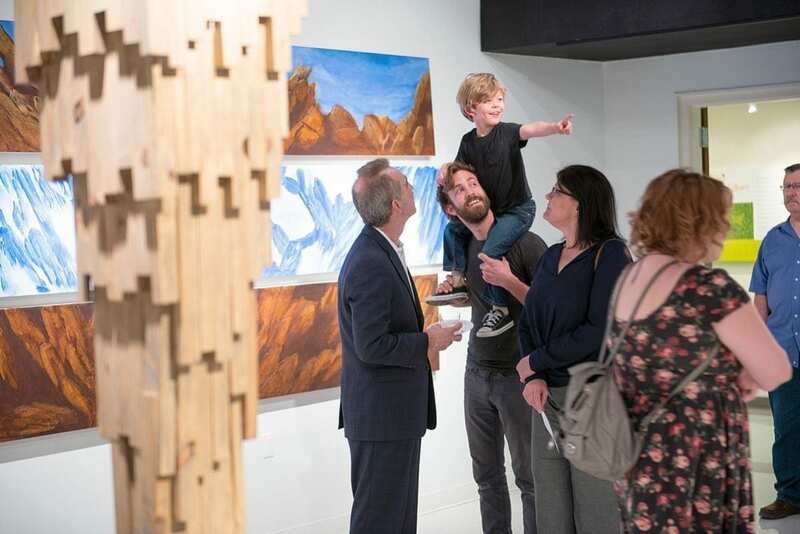 Solo Art Fair offers participating artists the chance to showcase and sell their work in an $8,000 value complimentary booth while incurring zero commission fees on the sale of their works. A juried open call will be held to select 80 national and international artists across multiple genres to exhibit during the international contemporary art fair, which will be held at the Brooklyn Expo Center from September 27-30, 2018. Solo Art Fair was created by a team of art fair professionals that were looking to produce a high-quality fair that favored artists over galleries. Solo Art Fair wishes to present a versatile selection of works and site-specific installations, with a strong focus on emergent talent and cutting-edge artists. As noted, the fair will provide selected exhibiting artists a complimentary, installation-ready booth. These booths aren’t the typical size you might encounter at a standard artist art fair – instead, they’re gallery-friendly, measuring 8-feet deep and 12-20-feet wide with 12-feet high hard walls, and will include LED booth lighting. The fair will also offer participants complimentary wrapping services for sold artwork, and the option to utilize Aiston Fine Art shipping services for an additional cost. Most importantly, artists will be able to connect directly with collectors and keep all of the sales proceeds for themselves. Submission will require setting up an Orangenius account [Full disclosure: Artrepreneur is the official blog of Orangenius]. On Orangenius, you will need to provide an artist’s statement, uploading 3-6 works for consideration, and making a portfolio of your submitted works, if you’re submitting more than one image, plus a $100 application fee. Applications are due by June 15th. Canal Convergence is focused on works that explore the convergence of art, water, and light. Located in Scottsdale, AZ, the Canal Convergence open call specifically targets interactive and/or light-based installation artists. Organized by the Scottsdale Public Art commission, this open call seeks proposals for outdoor, temporary public artworks to be featured in, around and above the Arizona Canal in Scottsdale, Arizona, in an exhibition that will be on view from November 9-18, 2018. An additional “Call for Creative Programming” will be posted over the summer for artists interested in proposing additional workshops, performances, and other programming elements. Canal Convergence’s mission is to provide an authentic and immersive art experience in and around Scottsdale’s canal. All local, regional and international artists, including architects, designers, artists and multimedia specialists, are invited to submit proposals for installations that take into consideration a number of themes. Canal Convergence is particularly interested in works that explore the confluence of art, water, and light; the role of art in sustainability and water conservation, and whether the work can interact with participants in a day-t0-night setting. Selected artists are expected to attend the Canal Convergence Launch Party and either provide an artist talk, participate in a panel discussion, lead a workshop, or propose a fun new way to engage our community throughout the event timeline. Submissions are due by May 15. Ninety selected finalists for Art Elevated will receive a free one-year Orangenius membership, with cash prizes for the top three. The Garment District Alliance is no stranger to open calls for artist’s work. In the last several years, the District has made it a point to develop a robust public art program that frequently calls on local and international artists to exhibit their work in one of Manhattan’s busiest neighborhoods. Now, the Garment District Alliance is in search of nearly 100 artists to design unique banners for their district’s lampposts. “Art Elevated” will transform New York City streets and lampposts into an aerial art gallery displaying the works of more than 90 selected artists from Labor Day through October 31, 2018. To apply, artists need to set up an account on Orangenius. From there, artists should submit an artist’s statement, upload one work with the size requirements stated in the Art Elevated Rules, then add a title, short description, and category to the entry on Orangenius. The entry fee for one piece is $15, but you may enter as many pieces as you wish. The ninety selected banner finalists will receive a free one-year Orangenius Pro Membership in addition to their art being included in Art Elevated. Additionally, a first, second, and third prize winner will win $1,500, $1,000, and $500 cash prizes. The grand prize winner’s work will appear on numerous printed and online marketing materials for the Garment District Arts Festival taking place October 18th through October 20th. All submissions are due by June 30, 2018. At the Delusional Art Competition, artists work will be reviewed by art world heavy-hitters like Evan Pricco, Editor of Juxtapoz and Yasha Young, Director of Urban Nation Museum. If you’re looking for an opportunity to exhibit your work on an international scale, The Delusional Art Competition is a desirable opportunity. Offering exhibition opportunities and cash prizes, the competition is juried by some of the most compelling art professionals in the world today. In addition to gallerist Jonathan LeVine of Jonathan LeVine Projects, artist’s work will be reviewed by Evan Pricco, Editor of Juxtapoz, Yasha Young, Director of Urban Nation Museum, Steven P. Harrington & Jaime Rojo, Brooklyn Street Art blog founders, and artists Jeff Soto and Tara McPherson comprise this year’s jurors. The top 40 finalists will be included in a group exhibition at Jonathan LeVine Projects add city, be featured on the Delusional Art Competition website and be promoted on the gallery’s extensive social media networks add how many followers they have. Finalists will also be listed on the gallery’s highly trafficked Artsy page, and receive extensive worldwide promotion in the form of email marketing, press release announcements, and widespread social media marketing. Winning images will be showcased on the Delusional website and promotional platforms, offering finalists and winners international exposure among art collectors, curators, and other galleries. The deadline to apply is May 20. Do you frequently apply to open calls? Let us know in the comments! I have been having a lot of enjoyment responding to a variety of open calls – since January ,I have compiled a list of twenty. Out of the twenty, I have had twelve successes and one no.I’m waiting for the other seven replies; many of them take a while to respond. Out of the successes I’ve gotten a solo gallery show, a 30 piece alternate venue, a catalog cover with feature, a group show, and two invitations to Italian Biennales. Not too bad! I’m compiling my second list now. Yes. I enter into art fairs/expos/shows on a regular basis. Im from Italy, Im a coordinater of art projects from Italy and Israel. I would like to speak with a responsable and have more information foe the exhinition. can you send me a phone number ? i will call you.